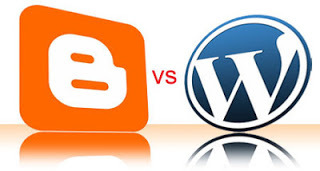 In my previous Post I talked about Blogger Vs WordPress (part 1) which I stated the advantages of Blogging on the blogger platform! well in this post I will also be stating the advantages on Blogging on the WordPress platform. It’s not like I own a Blog on the WordPress platform but I’m planning on moving so I’ve been doing a lot of re-search! and I’ve been able to come up with these little Advantages. WordPress Provides a great range of free templates but can-not be com-paired to those the Blogger offers. WordPress requires a certain net speed to work with.You can not operate it swiftly on a slow internet connection. Self hosted WordPress blogs require more investment and technical knowledge as they require hosting facilities. So you need to spend money for hosting on sites like HostGator, every month or every year. A little time is needed to adjust with WordPress. WordPress Has a huge plugins store with every need.You just need to search for what you want. Your template customizations can be backed up, so that when you switch to a new template you don’t have to start all over again. WordPress is also a safe platform but the number of hacking report are more. You need to take some security measures to save your blog from hackers. Ok that’s all I know about the many advantages about blogging on the WordPress platform. I know there are dozens of other advantages on Blogging on the WP platform. Have and contribution? I would love to hear them! Kindly use the comment Box! Love this Post kindly Share it to your friends on Facebook and Twitter!